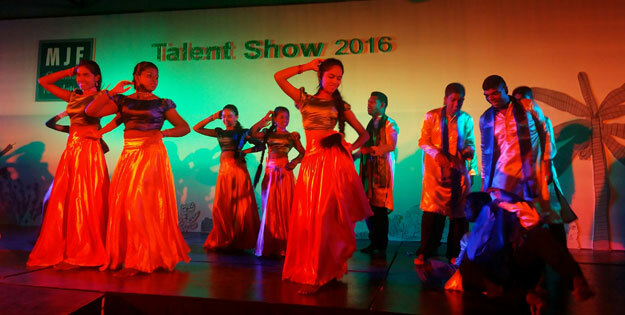 The Moratuwa MJF Kids Talent Show held on the 27th of March 2016, was an enchanting and inspiring evening as the kids showcased their aesthetic talents to the audience, alongside students from the Rainbow Centre for special needs. Members of the audience had tears in their eyes as they watched the children in wheelchairs perform on stage. It was a great display of heartfelt performances coupled with the joy of the performing children. For the families it was a proud day as they watched their children perform, dance and play drums. Later the parents and the children had a fun time dancing together outside in the garden.